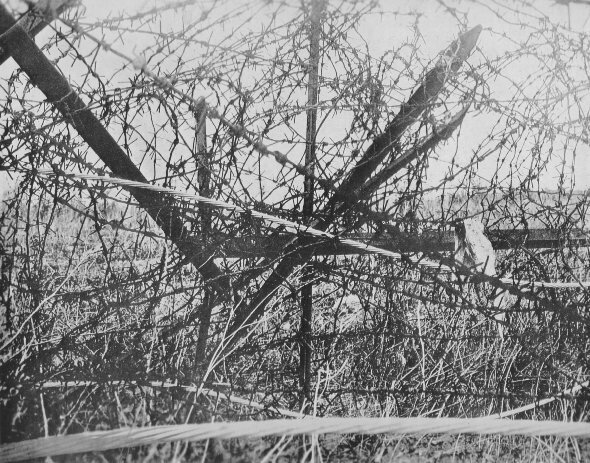 This entanglement of barbed wire is an example of what the infantry had to go through in the Argonne. The large cable was charged with electricity. The first move in an advance was to cut it, so as to break the circuit. Tanks and artillery made holes for the men to crawl through.